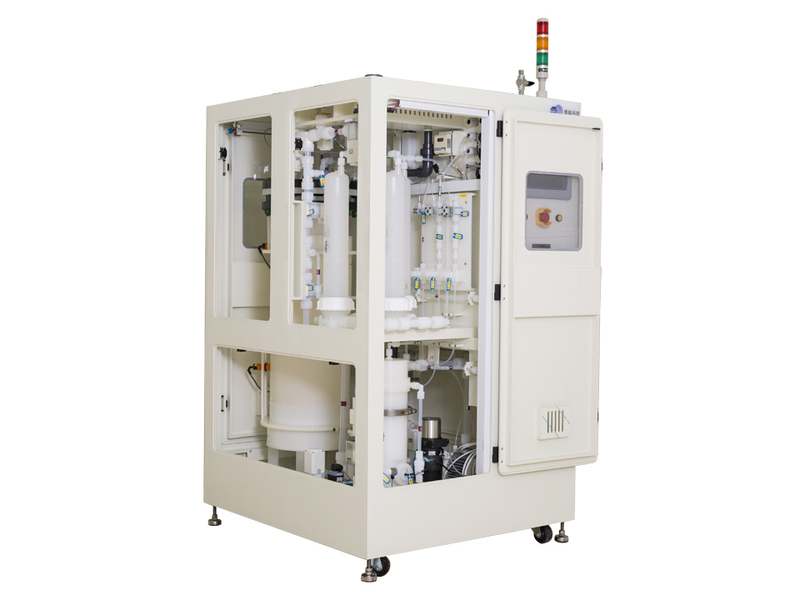 The Trusval Technology CO2 DI Water Delivery System is used for wet cleaning applications and provides high purity DI water that is also conductive, CO2 DIW open eliminating ESD risk in wet cleaning and grinding applications, where SOI and other devices might otherwise be prone to damage. Much more efficient than membrane-based technology or CO2 bubbling, a single Trusval CO2-DIW system can deliver up to 80 liters per minute of conductive CO2 charged water for use in critical wet process steps where the stability of the water conductivity is critical. For certain process steps the CO2-charged water has proven to be an effective replacement for NMP, while also delivering improved process performance. The system relies on a CO2 concentration technology that is 100% efficient in the use of CO2 and DI water inputs, delivering exceptionally consistent water at high volumes. The Trusval CO2-DIW system delivers exceptionally consistent and stable CO2-saturated DI water at high volume. After initial setup and adjustment, the graph shows the delivery of process C02-DI water at 31.5 microsiemens of measured conductance with a range of 2 microsiemens at a flow rate of 50 liters per minute.